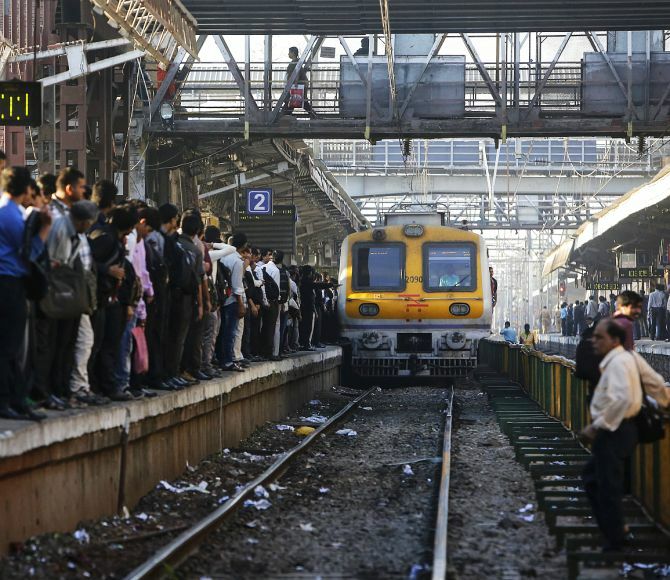 It will be an act of bravery if you manage to climb onto a train at Dadar in the first go at peak hours. Dadar is scary because of the number of people at the station owing to the fact that it is a common station between Central and Western line so people get down here to change trains. It receives about 5.77 Lakh passengers per day. Since forever it was the only place to change tracks and people would do several kilometres to and fro as trains were any day better than roads in Mumbai. 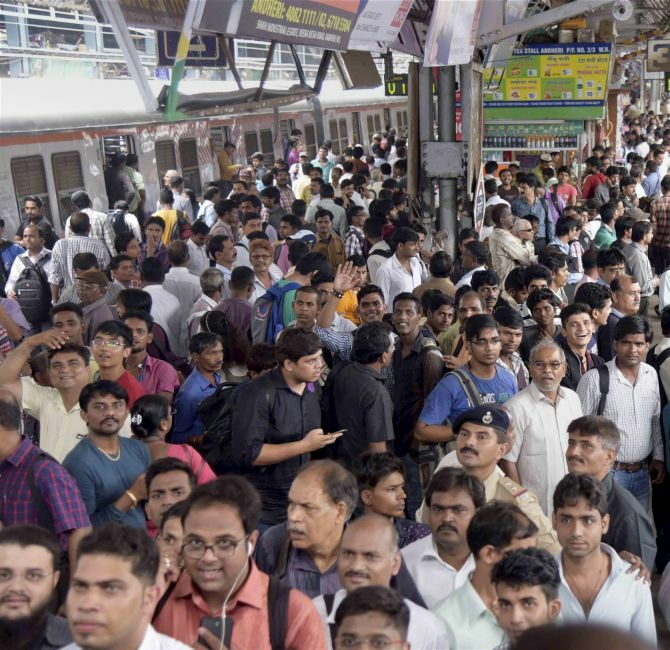 Dombivali has beaten CST, Thane and Kalyan railway station to become the most crowded and fare generating suburban station in the Mumbai division on Central Railway (CR), an RTI query has revealed in Mumbai. The reply to a query filed by activist Anil Galgali said that a total of 2,33,635 passengers travel through this suburban station on a daily basis and Rs 14,94,538 is collected via fares from there everyday. Whereas Thane stands on the second spot where 2,25,490 passengers use this station everyday while fetching Rs 13,84,020 as fares. This station located on the western railway zone of Mumbai is a very busy station recording an average of 3.25 lakh passengers per day. Nallasopara has some of the cheapest property rates in Mumbai. The property rates were later observed to be rising steeply due to its connectivity with the City. Churchgate Station is at the extreme south end of Mumbai and has many business centres around it such as Mumbai Fort and Nariman Point, which is why many people travel to this station. Apart from that there are many colleges too that are established here so many students are also seen coming. It’s a station to alight at to visit the Gateway of India and Marine Drive. Approximately 5.05 Lakh passengers travel through this station every day. Virar is a developing area at the northern end of Mumbai. It is fast emerging destination for middle class residents of Mumbai as real estate costs are relatively low here. 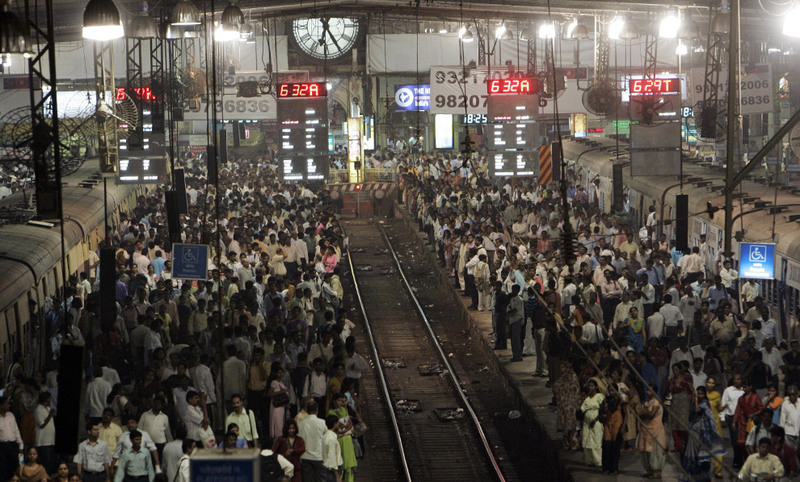 It sees 3.95 Lakh passengers everyday and is also where most trains to Churchgate start from. God must have provided you special abilities if you are able safely board (during peak hours) a fast train to Virar when your destination is much before it. 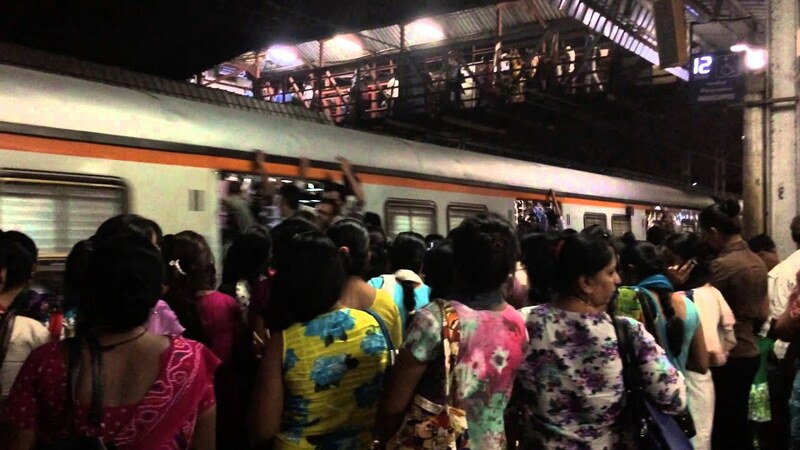 Andheri is the most populous suburban area and it sees about 6 Lakh passengers commuting from here daily. With the recent introduction of the Mumbai metro, several people commute towards Eastern Mumbai from here. Also Andheri is in vicinity of business districts such as SEEPZ and Chakala. Thane, home to more than 35 lakh people, is the busiest station on the Central line with about 6.54 Lakh passengers traveling through this station everyday. Around 1000 trains run from and to Thane every single day. Chattrapati Shivaji Terminus, formerly known as Bori Bunder or Victoria Terminus is another very crowded station at the southern most tip of Bombay. It is the last station on the Central line and sees 6.36 Lakh passengers everyday. CST is enamored by several beautiful eateries and photogenic locations. Bandra, also known as “Queen of the Suburbs” is now popular for the business district – Bandra Kurla Complex because of which it sees about 4.91 Lakh passengers visiting through the station everyday. Apart from business related travel several people visit Bandra for shopping, clubbing and walk by the sea. Another station that gained prominence after Mumbai metro became operational is Ghatkopar. It’s now almost like Dadar because people get down here to take the metro and back which gets many corporates working around the area to travel to and from this station. 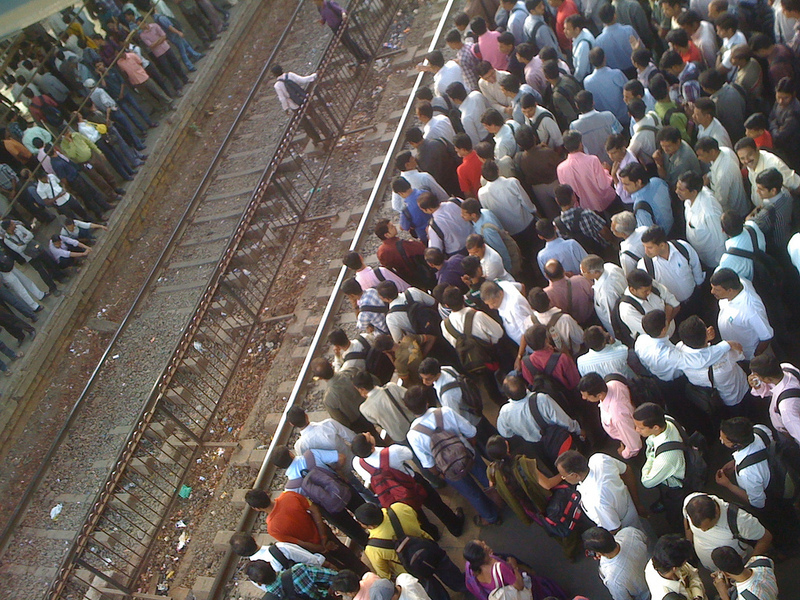 People on the Central and Harbour line travel to Bandra Kurla Complex from the Kurla station. The station is probably the dirtiest in entire Mumbai though if its employment destination people don’t care how good or bad it is. Many corporate run their concierge services for employees traveling through this station. Borivali became home to Mumbaikars who couldn’t afford to live in Andheri as it became expensive. Today Borivali is also a dense locality and no wonder the station is used by 3 lakh people every day. Also Malad which is close to Borivali emerged as a business district over the past decade and people find it easy to commute to Malad from here.